CD64 is an integral membrane glycoprotein known as an Fc receptor that binds monomeric IgG-type antibodies with high affinity. It is also known as Fc-gamma receptor 1 (FcγRI) or FCRI. After binding IgG, CD64 interacts with an accessory chain known as the common γ chain, triggering cellular activation. Structurally, CD64 is composed of a signal peptide that allows its transport to the surface of a cell, three extracellular immunoglobulin domains of the C2-type used to bind antibody, a hydrophobic transmembrane domain, and a short cytoplasmic tail. 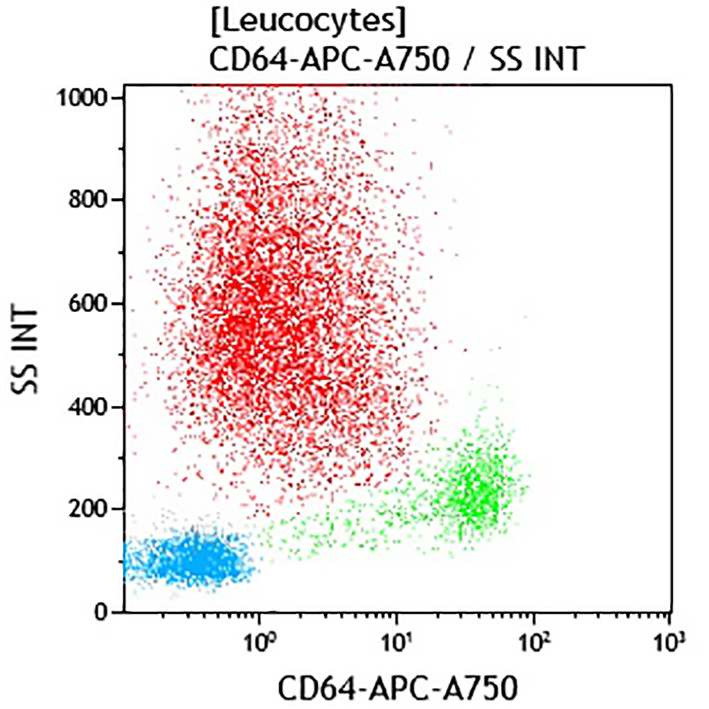 CD64 is constitutively found on macrophages and monocytes. CD64 is expressed on early myeloid cells and in IFNγ and G-CSF activated polymorphonuclear neutrophils (PMNs). Clone Description The 22 antibody shows especially high affinity binding to human mononuclear phagocytes. The epitope recognized by this antibody is disctinct from the IgG binding site.